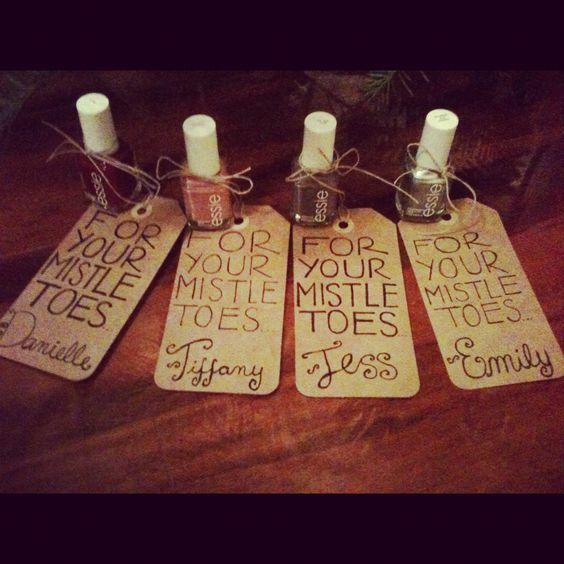 Make sure your festive gathering is one to remember this year by getting the finer details right. The first step is to concentrate on your Christmas Table Decorations which range from the perfect centerpiece to a delicate place holder. 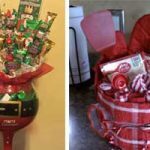 Grab some inspiration from these charming ideas which will bring the jolly holly season to your plates. This is a great way to recycle used plastic bottles. Begin by cutting into several strips and layer each onto a wooden dowel. 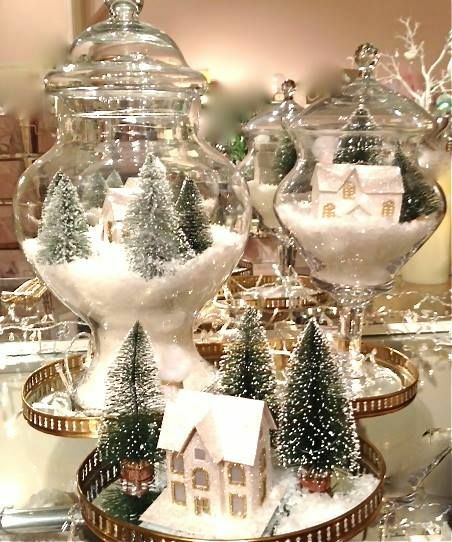 Decorate and place on the center of your table for a beautiful festive centerpiece. 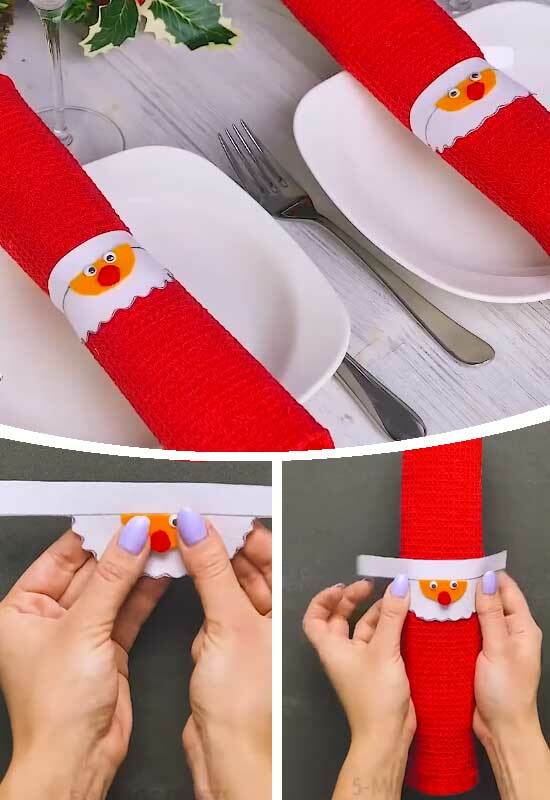 A very easy way to turn red napkins into Santa. Simply draw a white beard shape onto paper and add skin color felt and googly eyes. 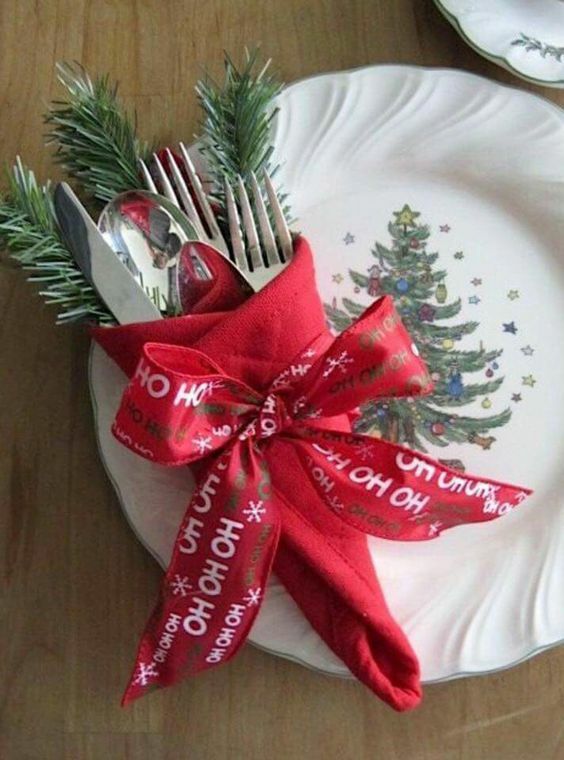 With a couple of ribbons and festive garland you can make some really festive utensil holders for your table settings. A great way to use up unwanted baubles and adds festive cheer to any corner of the house. 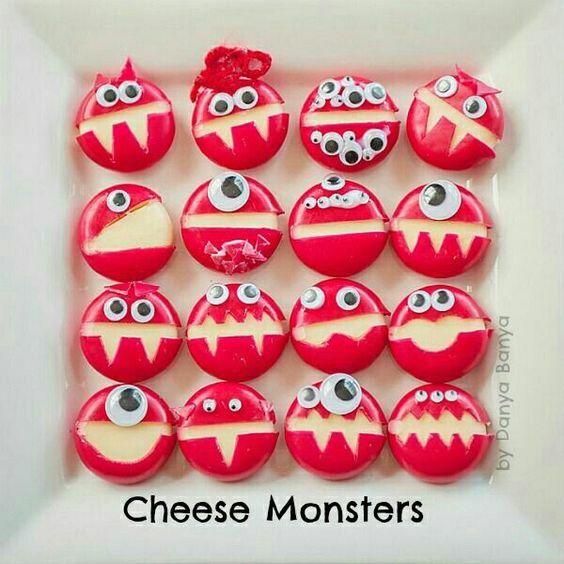 This super cute table decor is so easy to make. 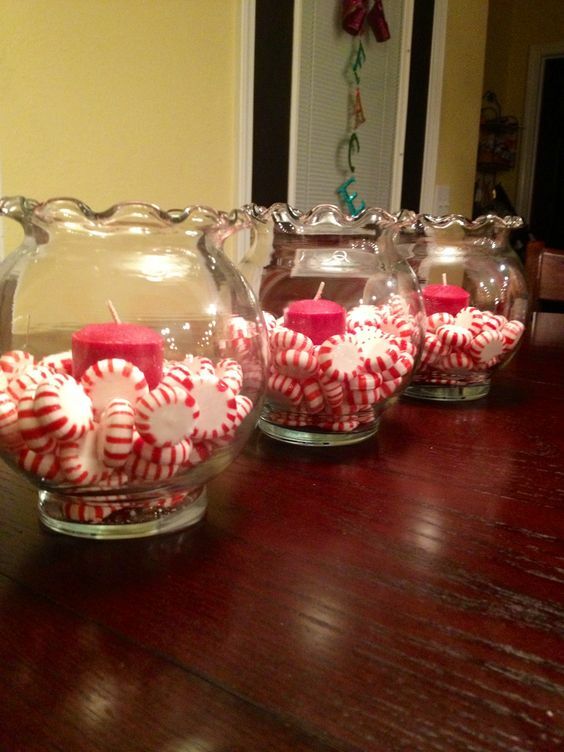 Simply place peppermints in small bowls and add red candles. 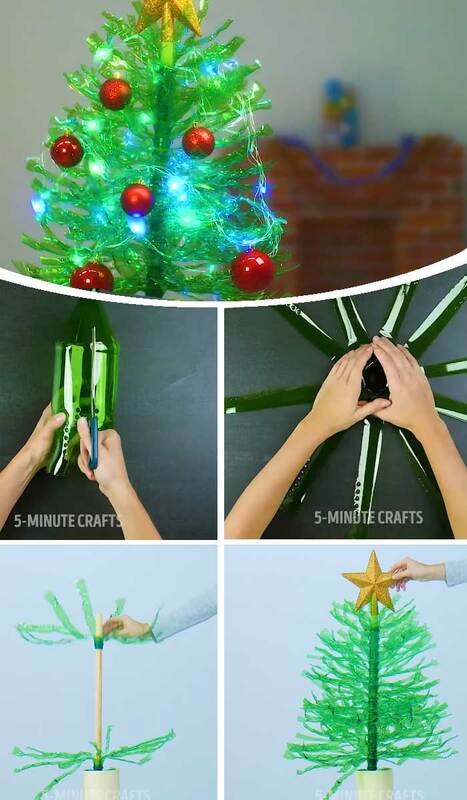 You can make these impressive trees using styrofoam cones and gluing on candy canes and peppermints – perfect for a candyland theme. 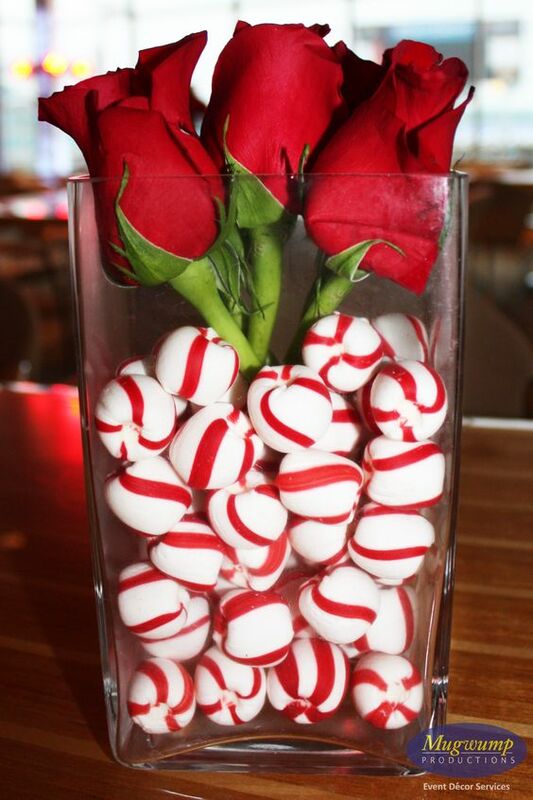 A beautiful red rose is set off beautiffuly with a vase filled with peppermints. This Snowman hat will look great as a festive centerpiece. 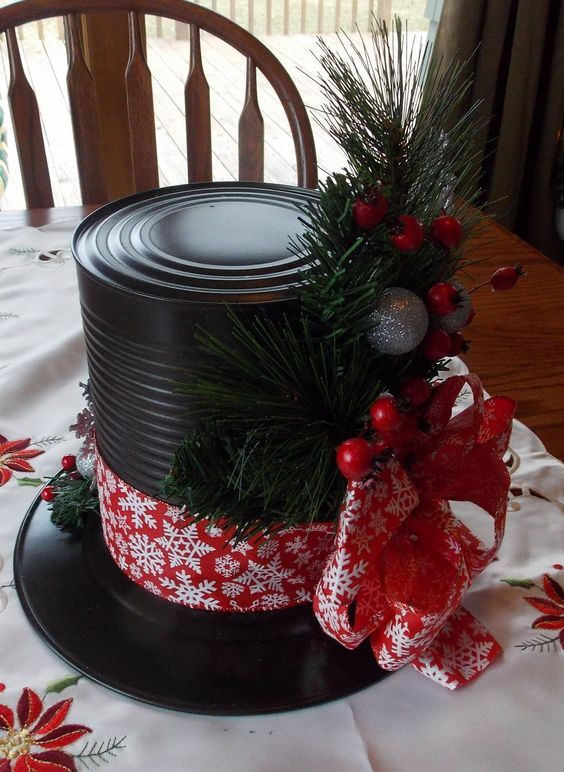 Use a large tin such as a coffee can and paint it black, then set on a dollar store plate. Finish by trimming with festive red ribbon or holly. Lanterns can really help to add Christmas feel to your home. In this idea it’s place into a beautiful festive wreath with a simple whit candle inside. 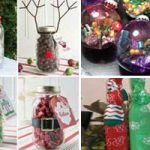 There are many different ways to customize your lantern from adding fairy lights or even making a little Christmas scene inside using figurines. 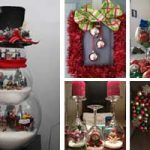 Using several different jars, you can recreate this with items like mini trees and houses. Add some battery candles to brighten it during the evening. 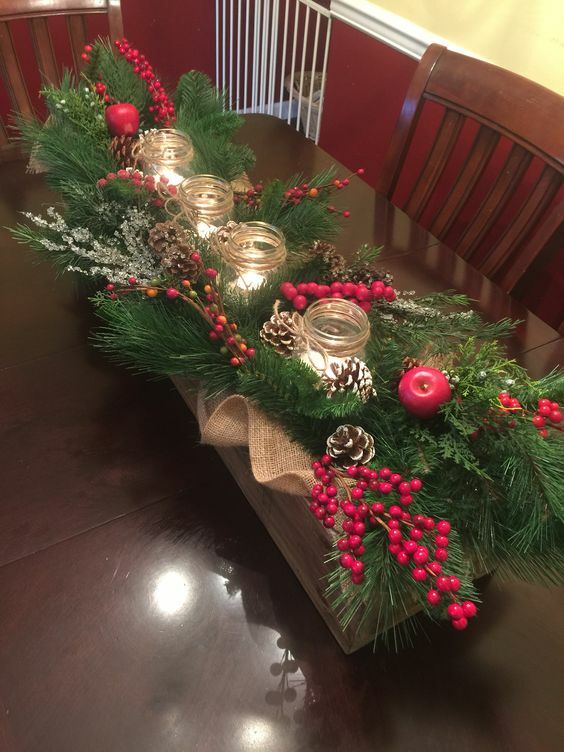 You can use three pallet slats to make this jolly holly centerpiece. 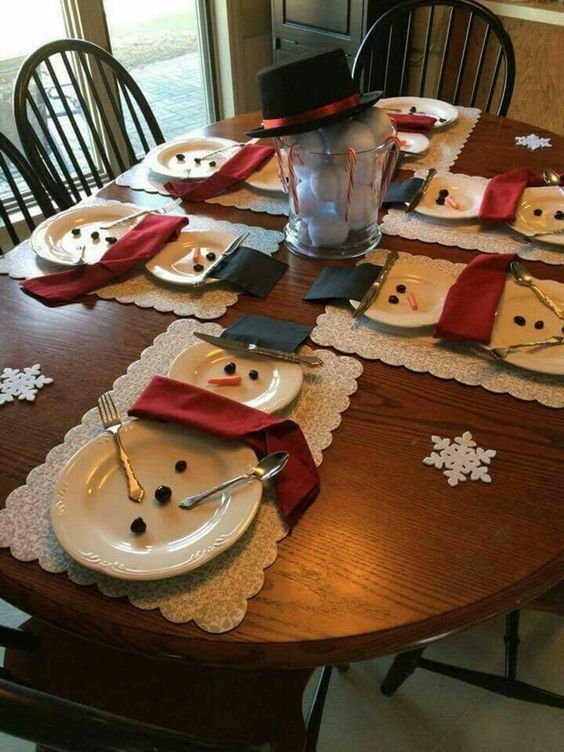 It’s easy to see why kids would love this as their table setting on Christmas Day. 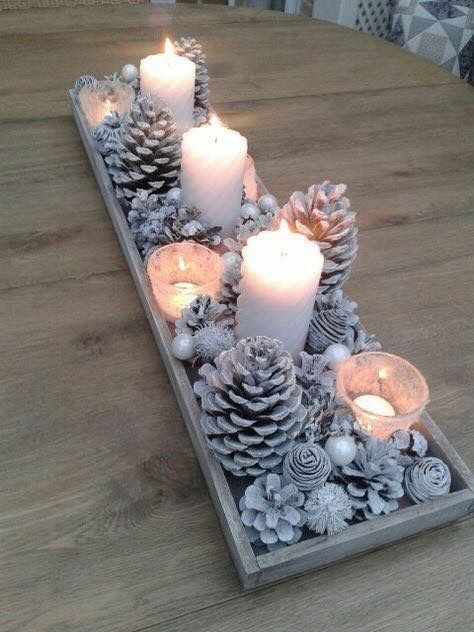 To recreate this you can paint pine cones with white paint and set into a wooden tray with white candles. 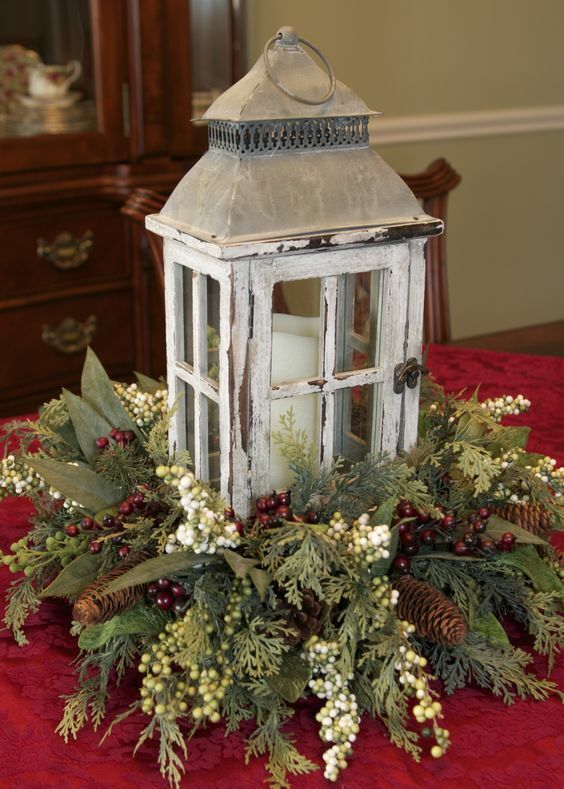 A great addition to all your Christmas decor – this centerpiece is a real show stopper. 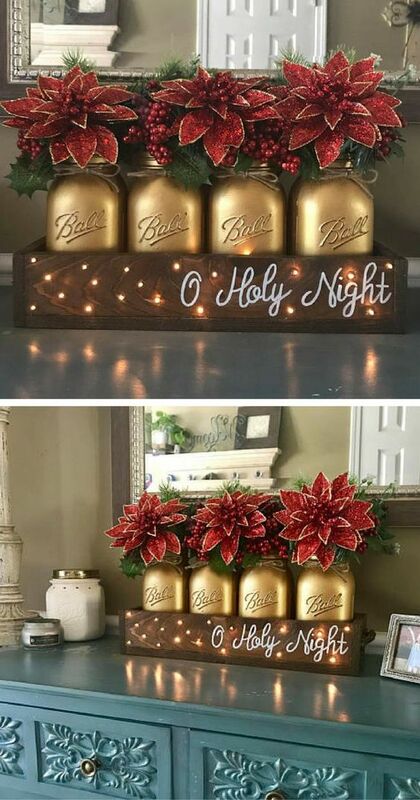 Spary paint a couple of mason jars in gold and add faux poinsettias. Set into a wooden tray and enjoy. 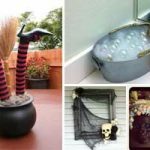 You could also add fairy lights to add extra magic. 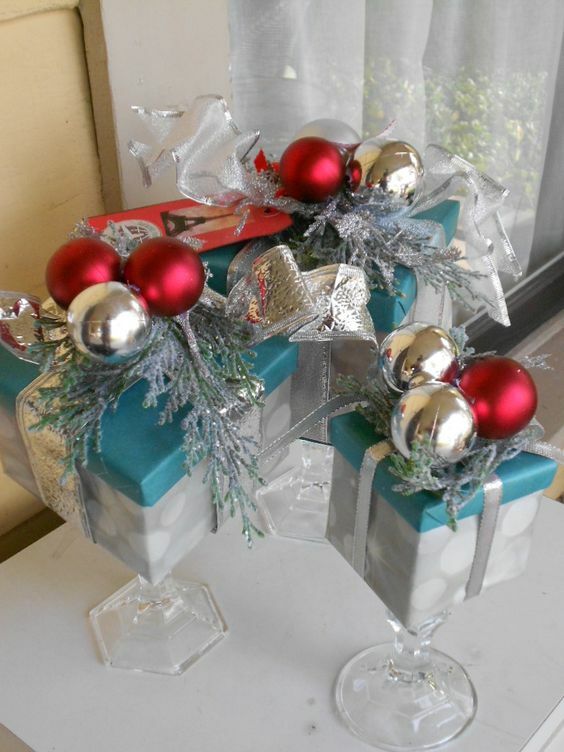 Very simply made – using three differently sized boxes and glue onto dollar store candle sticks. 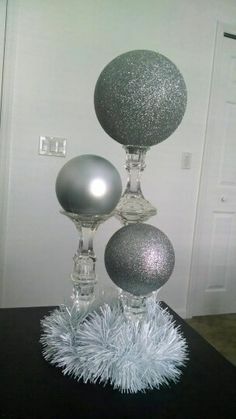 This would also look great for a winter themed wedding. You’ll need candlesticks from the dollar store. 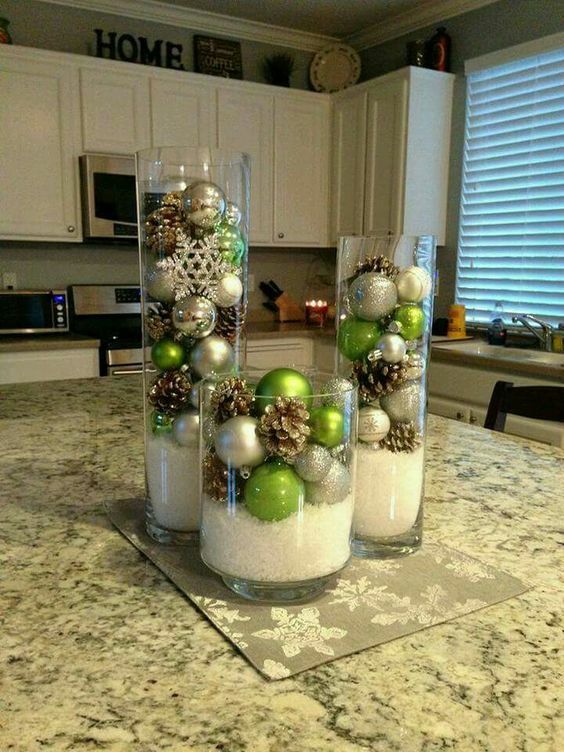 Add large ornaments on top, or paint Styrofoam spheres. 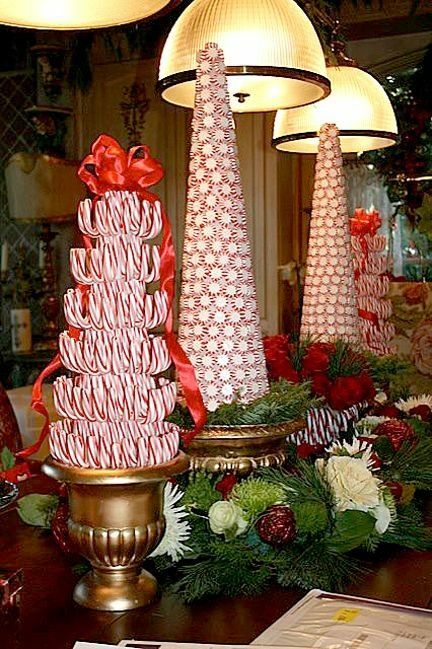 Candy canes are ideal to spruce up your table in winter. 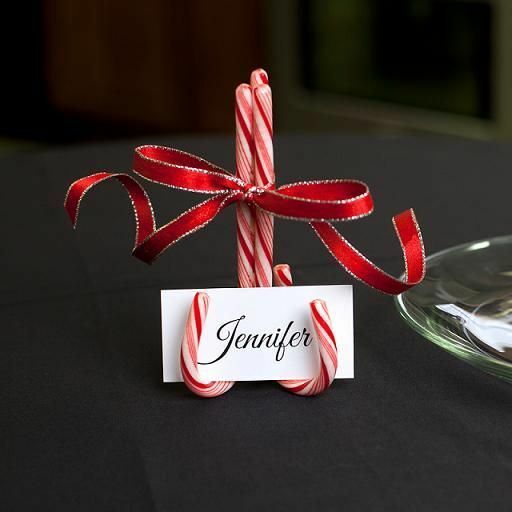 For this idea simply glue two small candy canes together and write each person’s name on card. Tie some festive ribbon around the center to add some more holiday cheer. 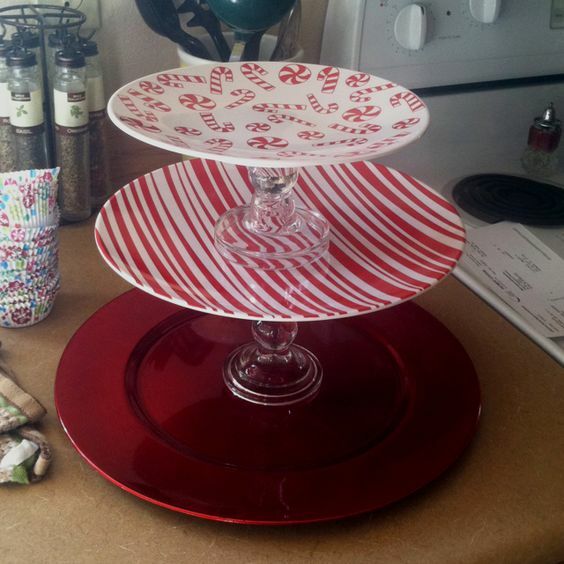 To make a nice dessert tray for after dinner – you’ll need three plates and two candle holders which can all be purchased from the dollar store.